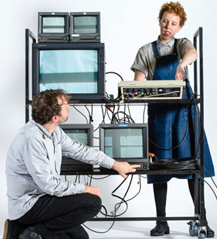 To mark the end of Analogue TV in Sydney, Metro Screen have teamed up with Tele Visions to screen significant video works at Performance Space who are also celebrating their 30th Anniversary. Tele Visions plays upon the imbalance of access to TV broadcasting between corporate or government entities and the public. However it would be remiss to not acknowledge the remarkable and inspirational histories of community access media and production collectives in Australia. Talking Back to TV takes a looks at these histories through the screening of two historically important activist video works and a retrospective presentation by Metro Screen. At the recent Screen Forever conference they rebranded to become Screen Producers Australia. Catch up on our top 10 twitter gems from this year’s gathering. FanDependent, one of Australia’s most innovative film distributors, has launched a new venture, Releasr with two new tools for producers. Releasr.com connects filmmakers and producers directly with their audience and facilitates decision-making based on interest in the project, location and demographics. Time to get the picnic rug out again for TropJr Sunday 8 December. The Metro Screen TropJr filmmakers have made it in to the top 10 Finalists which were announced this week. The film titled The Comedian will be up against the rest. This Saturday 23 December head to Avoca Beach Picture Theatre to hear from local documentary filmmakers, watch the finalists of the Central Coast on Screen and the Coasties Film Festival. Kino Kabaret is an annual filmmaking marathon, run by non-profit arts event company The Festivalists, with the generous support of Metro Screen. Talking Back to TV takes a looks at these histories through the screening of two historically important activist video works and a retrospective presentation by Metro Screen. Its Free entry from 2pm – 4pm on Sunday 1 December at Track 8 Carraigeworks, Eveleigh. 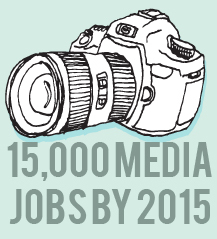 15,000 new jobs are predicted in the Australian media industry by 2015, with half of those being online according to a report Culture Boom, by The Boston Consulting Group. Applications are open for the 15 places in the Diploma of Screen and Media starting in 2014 with VET Fee Help. This course will give you a firm grasp of the fundamentals to work in digital, TV and film content making jobs. You bring your talent and interests and we will develop your career path, develop your showreel, present your work on the big screen at an industry showcase and place you in an internship for valuable work experience. Watch the current 2013 students talking about making their first short films. Recently we invested in a Qube Digital Cinema encoding and packaging solution to service the independent screen sector with affordable DCP file for exhibition in the professional cinema environment. 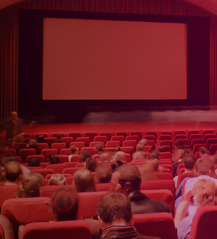 With over 90% of the commercial cinema screens in Australia now using DCP, we have found a great opportunity to offer a great service at a great price. We have gathered some tips and facts to demystify this format for our audience. According to Wikipedia, a "Digital Cinema Package (DCP) is a collection of digital files used to store and convey Digital cinema (DC) audio, image, and data streams. General practice adopts a file structure that is organized into a number of usually multi-gigabyte size Material eXchange Format (MXF) files, which are separately used to store audio and video streams, and auxiliary index files in XML format." Check out this handy blog post about trouble shooting the DCP production process.